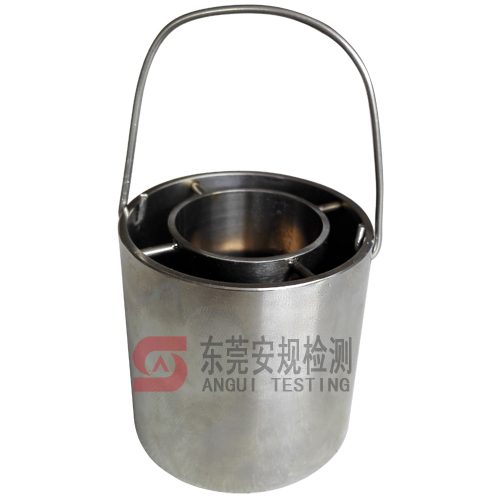 19.5.3 A thermocouple intended to measure ambient temperature shall be immersed in 15 ml (0.5 oz) of mineral oil in a glass container or attached to a metal mass of approximately 30 g (1 oz) that is within a cylindrical metal shield open at the top and bottom. The average ambient temperature in the draught-proof enclosure is taken to be the air temperature at a position near one of the perforated walls on a level with the centre of the luminaire. The temperature is usually measured by a thermocouple soldered to a metal mass of approximately 30 g shielded against radiation by a double-walled cylinder of polished metal open at the top and bottom.